Home > Special Offers > Parts & Service > Get ACDelco Advantage Batteries Installed! Get ACDelco Advantage Batteries Installed! 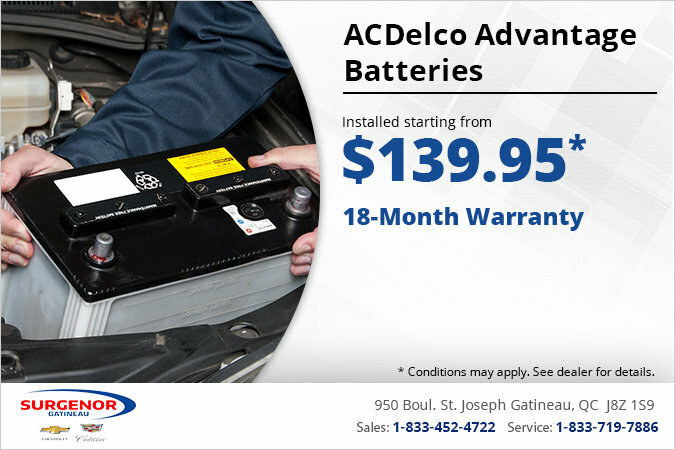 Get ACDelco Advantage Batteries installed starting from $139.95! Comes with an 18-month warranty.